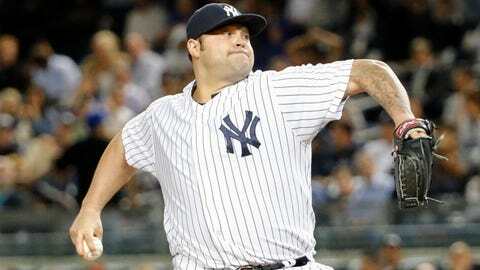 Joba Chamberlain is officially a Detroit Tiger and the team's activity is about to slow down. 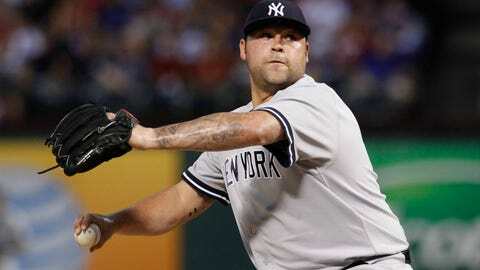 Joba Chamberlain is officially a Detroit Tiger and the team’s activity is about to slow down. "We’re pretty well set at this point," Tigers president and general manager Dave Dombrowski said on a conference call Friday. "As far as us being aggressive, trying to sign somebody, this would be the last move we’d make. "But who knows what the next phone call brings?" The Tigers signed Chamberlain, the former New York Yankees reliever, to a one-year deal, worth $2.5 million according to ESPN’s Buster Olney. "We’ve been looking for a veteran arm to complement the other individuals that we have," Dombrowski said. "We’ve liked Joba for years, his abilities. He’s had some ups and downs as far as injuries the last couple seasons but he threw the ball last year with great velocity. "We feel that he’s a great addition with his abilities, with his experience and also with him being in a position where his focus is on trying to get back to being the type of pitcher that he was originally in his career." Dombrowski said Chamberlain could pitch in the seventh or eighth inning, although the Tigers would ideally like Bruce Rondon to work the eighth most games. Dombrowski reiterated that the doctors have cleared Rondon and they believe he should be healthy this season. The bullpen will look pretty different than it did last season. Joe Nathan is the closer, Rondon is expected to be with the team all season and ready to pitch the eighth, Al Alburquerque, Phil Coke and Luke Putkonen remain. Ian Krol and Chamberlain are the other newcomers. Tiger GM Dave Dombrowski appears to have changed the entire short-term plan for the franchise. Chamberlain and Coke remain friends from their days with the Yankees. "Phil is a great man, a character," Chamberlain said. "We had good times in New York. He’s a guy that’ll keep you entertained. I’m looking forward to seeing him, giving him a big hug and being his teammate again." To make room for Chamberlain on the 40-man roster, the Tigers designated infielder Danny Worth for assignment and outrighted infielder Dixon Machado, who had cleared waivers, to Triple-A Toledo. Chamberlain and his agent, Jim Murray, met in Nebraska last month and Murray said he knew and trusted many people in the Tigers organization. "We felt this was the best fit," Chamberlain said. "This is a great organization top to bottom. I’m excited to work with Jeff (Jones, pitching coach) and be a part of this. February 13 can’t come soon enough for me." Murray said the Tigers were not his only suitor. "There was a lot of interest and a lot of opportunities for potentially even more money," Murray said. "Money wasn’t the main factor, it was more about opportunity, more about Joba feeling comfortable." Last season Chamberlain was 2-1 with a 4.93 ERA and 1.75 WHIP in 45 outings. For his career, he has a 3.85 ERA and 1.38 WHIP. The Tigers had declined the option on Jose Veras and Dombrowski confirmed that they preferred Chamberlain to Veras. "No offense to Jose Veras," Dombrowski said. "He’s a solid guy, we liked him and had an opportunity to bring him back. We like Joba, we like his abilities. We had our choice of a lot of guys that are still out there for one-year deals, maybe even a two-year deal in a couple different cases." Chamberlain, who had Tommy John surgery in 2011, said he’s fully recovered and his velocity has returned. "I’m definitely glad I don’t have to pitch to Miggy anymore," Chamberlain said. Miguel Cabrera was 6-for-13 with a home run off Chamberlain. Now that the Tigers are theoretically done, it’s definitely a different club than the one that lost to the Boston Red Sox in the ALCS. "When we made the first trade, trading Prince (Fielder) and bringing Ian Kinsler in here, it sort of changes the dynamic of the team," Dombrowski said. "You sacrifice power in the middle of your lineup but you’re also in a position where you can move Miguel to first base, where he’s more comfortable from a defensive perspective. "You bring Nick Castellanos at his more natural position of third base — again, he has to earn that spot." Dombrowski said trading Fielder for Kinsler is what initially made the Tigers different, a process that had started when they acquired shortstop Jose Iglesias to take over for Jhonny Peralta late last season. Adding Rajai Davis to the left-field mix offers more speed, as does Kinsler. "So we are a different-looking club at this point," Dombrowski said. "We think we still have the ability to score runs but we think we’ll be a better defensive club that has some more speed." Whether all the changes translates into more wins and reaching the World Series remains to be seen.